Mar 9, 2016 — by Ernest Robertson D.D.S. Healthy teeth are an important factor in determining the overall health of a patient’s mouth, but patients often overlook another factor that is equally important: the health of the gums. As the foundation of the teeth, it is just as important to ensure that the gums remain strong and healthy, so that the health and strength of the teeth do not also suffer. Gum disease is a common oral health condition, but one that many patients do not know much about. 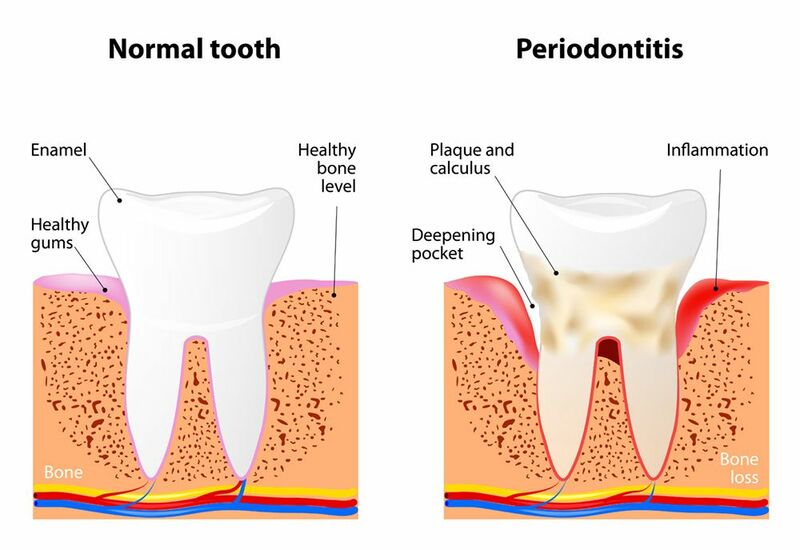 With early diagnosis, periodontal treatment can eliminate gum disease and restore gum health. The experienced dental team at the Harlem Center for Aesthetic Dentistry help patients recognize gum disease symptoms so that our New York, NY dental team can provide appropriate periodontal treatment. If any of these symptoms are present, it is likely that the patient is suffering from a more advanced case of gum disease. This makes it even more important to seek dental care as soon as possible so that the condition can be treated before oral health is further impacted. As harmful as gum disease can be to the teeth, gums, and overall oral health, it is fortunate that the condition can often be effectively treated, and the negative side effects of this disease reversed. Our dentists offer periodontal care, such as root planing and scaling treatment (a deep cleaning of the gums) and medication that can eliminate infection so that the health of the gums and teeth can be restored. In more serious cases, we can even discuss the need for oral surgery to eliminate periodontal pockets and encourage the growth of new, healthy gum tissue. If you are experiencing some of the symptoms of gum disease, we encourage you to schedule an appointment at your earliest convenience to have your teeth and gums examined by an experienced member of our dental team. At the Harlem Center for Aesthetic Dentistry, we offer the periodontal treatments that can give you back a strong, healthy, and beautiful smile.